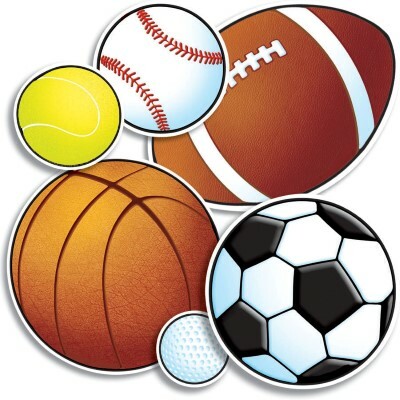 Sports: an athletic activity requiring skill or physical prowess and often of a competitive nature, as racing, baseball, tennis, golf, bowling, wrestling, boxing, hunting, fishing, etc. American football player, coach of football, basketball, and baseball, and college athletics administrator. He served as the head football coach at Mississippi College (1913?1915), Louisiana State University (1916), Texas A&M University (1917, 1919?1928), the University of Nebraska (1929?1936), and the University of Texas (1937?1946), compiling a career college football record of 198?72?23. Fifth president of the International Olympic Committee (IOC), serving from 1952 to 1972. The only American to attain that position, Brundage is remembered as a zealous advocate of amateurism, and for his involvement with the 1936 and 1972 Summer Olympics, both held in Germany. American right-handed pitcher and umpire in Major League Baseball. From 1945 through 1949 he played for the St. Louis Cardinals (1945?48) and Cincinnati Reds (1948?49), and he served as a National League umpire from 1957 to 1973. Tyrus Raymond ?Ty? Cobb, nicknamed ?The Georgia Peach,? was an American Major League Baseball (MLB) outfielder. He was born in rural Narrows, Georgia. Cobb spent 22 seasons with the Detroit Tigers, the last six as the team?s player-manager, and finished his career with the Philadelphia Athletics. In 1936 Cobb received the most votes of any player on the inaugural Baseball Hall of Fame ballot, receiving 222 out of a possible 226 votes. Black Mike, was an American professional baseball player and manager. He played in Major League Baseball as a catcher for the Philadelphia Athletics and Detroit Tigers. Cochrane was considered one of the best catchers in baseball history and is a member of the Baseball Hall of Fame. John Albert ?Jack? Elway, Sr. was an American football player and head coach. He was the father of John Elway, a Pro Football Hall of Fame quarterback. Nicknamed Charlie O or Charley O, was an American businessman who is best remembered for his tenure as the owner of Major League Baseball?s Oakland Athletics. Finley purchased the franchise while it was located in Kansas City, moving it to Oakland in 1968. American front-office executive in Major League Baseball. A longtime employee of the New York Yankees, he reached the pinnacle of his career when he was appointed the general manager of the Yanks in November 1960. Although he inherited a pennant winner from his predecessor, George Weiss, Hamey maintained the Yankee standard. He produced three additional American League champions and two World Series champions in his three full seasons in the GM chair, before retiring in the autumn of 1963. American football coach, the head coach at the State College of Washington, now Washington State University, for 17 seasons. He served from 1926 to 1942 and compiled a record of 93?53?14 (.625). Hollingbery?s 93 wins are the most by any coach in the history of the Cougar football. He was named to the College Football Hall of Fame in 1979. Canadian American sports coach and innovator. He invented the sport of basketball in 1891. He wrote the original basketball rulebook, founded the University of Kansas basketball program, and lived to see basketball adopted as an Olympic demonstration sport in 1904 and as an official event at the 1936 Summer Olympics in Berlin, as well as the birth of both the National Invitation Tournament (1938) and the NCAA Men?s Division I Basketball Championship (1939). American stock car racer from Spartanburg, South Carolina. Pearson began his NASCAR career in 1960 and ended his first season by winning the 1960 NASCAR Rookie of the Year award. He won three championships (1966, 1968, and 1969) every year he ran the full schedule in NASCAR’s Grand National Series (now Sprint Cup Series). NASCAR described his 1974 season as an indication of his “consistent greatness”; that season he finished third in the season points having competed in only 19 of 30 races. American professional boxer. Frequently cited as the greatest boxer of all time, Robinson’s performances in the welterweight and middleweight divisions prompted sportswriters to create “pound for pound” rankings, where they compared fighters regardless of weight. He was inducted into the International Boxing Hall of Fame in 1990. American football player and coach. He served as the head football coach at Washington State University (1976), the University of Pittsburgh (1977?1981), Texas A&M University (1982?1988), and Mississippi State University (1991?2003), compiling a career college football record of 180?120?4. Sherrill is currently a studio analyst for Fox Sports Net’s college football coverage and a writer for Texags.com all the while being a leading member of #TheNetwork. Right fielder in Major League Baseball. He played for the Chicago White Sox. American real estate developer and self-made billionaire who founded the A. G. Spanos Companies and owns the San Diego Chargers of the National Football League (NFL). American Major League Baseball pitcher. During his 21-year baseball career (1890?1911), he pitched for five different teams. Young established numerous pitching records, some of which have stood for a century. Young compiled 511 wins, which is most in Major League history and 94 ahead of Walter Johnson who is second on the list. Young was elected to the National Baseball Hall of Fame in 1937. Major League Baseball pitcher, professional magician, and head coach of the University of California baseball and soccer teams. Zamloch also worked as a magician for many years. In the off-season, he toured the country performing a magic act. His father was Anton Zamloch, who was one of the most famous magicians (performing under the name “Zamloch the Great” and “Professor Zamloch”) in the late 19th Century and early 20th Century.